You’re starting out the new year with any number of resolutions. Some of them are for self-improvement, such as losing weight or perhaps taking a college course. There is one particular activity you should engage in as the year starts. 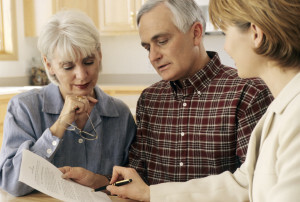 It involves writing a will which is something any group legal plan will help you with. It is something that many people in Phoenix keep putting off, thinking they don’t need to do this until their senior citizens. That is not a good idea because nobody knows when disaster hits. If you die without a will leaving your family in the lurch. There’s going to be an awful lot of difficulty with probate court because there’s no document outlining what you wish to do with your estate. Living without a will is a very serious risk. One of the biggest problems of a person dying without a will are the delays that result. Probate court takes its time in doing things, and the delays can last months. What happens then is that money from the estate, needed to pay off mortgages or even college tuition, is delayed. People who do not wish to take out loans may be forced to do so. These are some of the situations that could be avoided with pre-paid legal services such as drafting a will. A very sad consequence of not having a will drafted is the dissension that can arise among survivors. Not knowing what the deceased wants can lead to some very violent arguments within the family. It can cause wounds that take years to finally heal. Having a will prevent this from occurring. These are all reasons why putting off writing a will is a horrible idea. A young person may feel there is all the time in the world, but tragic accidents can happen. Children of the deceased stand to suffer the most. Their inheritance is locked up in probate and the court may have to assign a guardian; someone who may have no connection to the children at all. Pre-paid legal services, if available, can prepare the necessary paperwork. A group legal plan member can be put in contact with an attorney who understands the drafting of a solid will. Working with this legal professional, a person will see to it that his or her family is protected from life he waits for the state proceeds. Countrywide Pre-Paid Legal Services include the writing of the will among the pre-paid legal services options available. The situation as delicate as drafting a will requires a special sort of person. This is someone who’s not just expert in estate law but also has good people skills. Countrywide Pre-Paid Legal Services only works with attorneys who have both. We carefully screen any attorney who will be working with us. The candidate has to show expertise in law but also a good understanding of human beings. The combination of professionalism and empathy allows Countrywide to provide the very best service to group legal plan members.